*PLEASE NOTE: Programs applying for the English Learners or High School Credit Recovery categories must also fit the criteria for Summer Learning Academies to be eligible for funding. What is a Summer Learning Academy? Which programs are eligible for funding? Organization must be a BPS school or a registered 501c(3) non-profit organization. Program must serve a minimum cohort of 30 student participants who consistently attend over the course of the entire program. Funded programs must create new seats to serve BPS students whose schools have selected them for enrollment in a Summer Learning Academy. A “new seat” is defined as a seat not restricted to pre-registered or pre-enrolled students. Programs must accept students on a rolling basis until enrollment closes. School-proposed programs must accept a minimum of 15% of participants from the surrounding neighborhood and/or other school(s). Up to 85% of student participants may be enrolled from the home school. Partner-proposed programs may identify specific sending schools. However, priority will be given to those willing to accept any BPS students. Program must hire licensed teachers of appropriate grade level and/or content area to conduct academic instruction. Applicants must attend or complete mandatory training sessions scheduled by the BPS Summer Learning Team. What are the eligible programs or service for the English Learners funding category? Programs that specifically serve language-based demographics of English Learners, such as programs for Haitian Creole, Cape Verdean Creole, Spanish, Mandarin, Vietnamese, or Somali students. Language acquisition programs, such as tutoring, remediation, content-specific academic interventions. College and career readiness programs for English Learners including but not limited to: work internships, coding, college prep, college interviews, college visits, job training, resume building, etc. Intensive literacy instruction in English Learners’ native languages, and age-appropriate core content instruction in the native language, taught by qualified teacher(s). All students must be English Learners (Limited English Proficient code) with ELD levels 1 through 5. NOTE: English Learners who are coded as Former Limited English Proficient or Never Limited English Proficient are ineligible for this program. Classrooms must be 100% English Learners to be eligible for funding. Instructors providing direct English language development instruction to ELs must hold a valid ESL License with the Commonwealth of Massachusetts. Instructors providing direct content-based instruction to ELs must hold a valid SEI Endorsement with the Commonwealth of Massachusetts. Program aides or assistants must work under the supervision of said ESL-licensed or SEI endorsed staff members. All programs will utilize the i-Ready ELA Diagnostic and Assessment Tools as a form of pre and post assessment to track student growth over the course of the program. Further information on i-Ready can be found at the link below: http://www.curriculumassociates.com/products/iready/diagnostic-instruction.aspx. What is the definition of an English Learner? in classrooms where the language of instruction is English; or the opportunity to participate fully in society. What are the eligible programs or services for the High School Credit Recovery funding category? Program must offer a minimum of 40 hours of academic content in core subject areas (English, Math, Social Studies, Science). The academic content must be aligned with BPS Academic Standards and grade-level Massachusetts Curriculum Frameworks or relevant college-level standards. Which students are served in High School Credit Recovery Sites? Students who have failed courses in the 4 core content areas (English, Math, History, and Science), as well as electives such as world languages, may enroll in courses intended to recover credit for those courses that they failed. Students may enroll in up to two in person courses and two online courses over the course of the summer program. 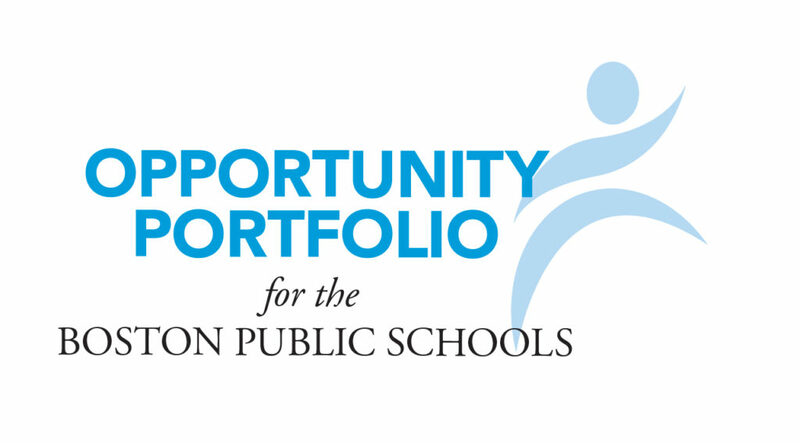 PartnerBPS is dedicated to connecting quality programs and opportunities for Boston’s students to the many schools within the Boston Public Schools system. Learn more about us. PartnerBPS would not have been possible without the support of our generous Sponsors!